62r.—Initial capital letter “R” from Dance of Death Alphabet. 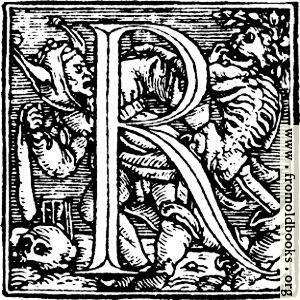 This decorative initial letter “R”, or drop cap, is from an alphabet designed by Hans Holbein and dating from 1523. 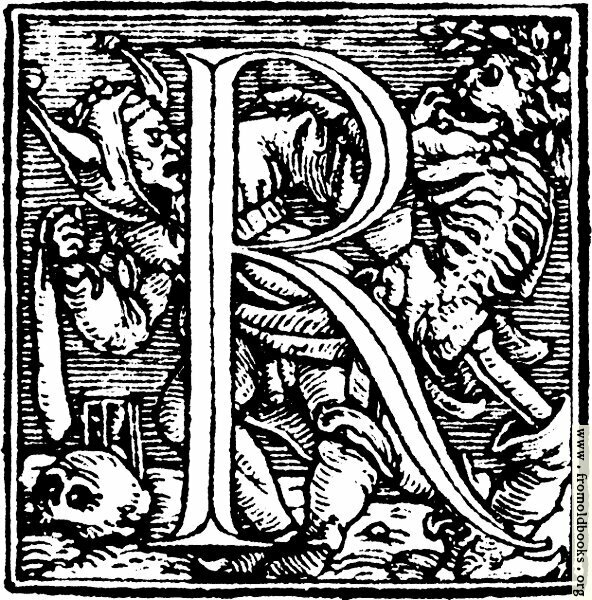 The skeleton figures in the alphabet represent death. 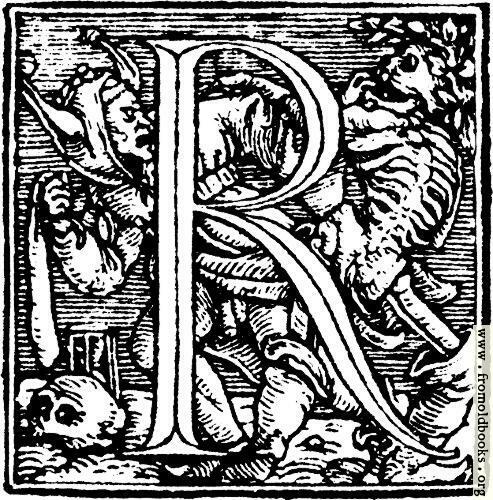 This letter, R, includes a skeletons, or Death, being fought by a jester or fool. 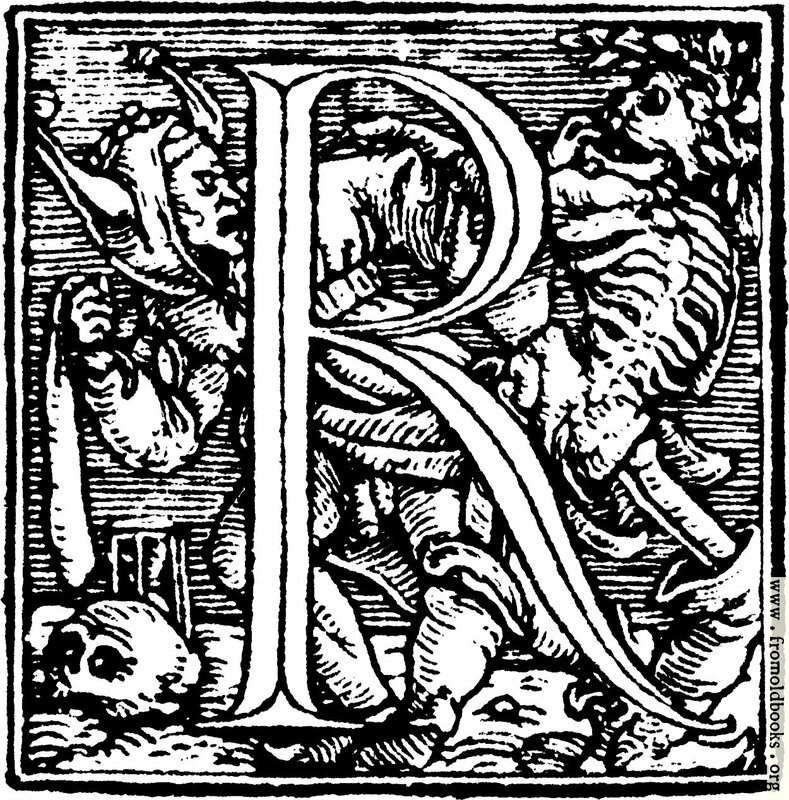 The implication is presumably that only a fool would try to fight death.